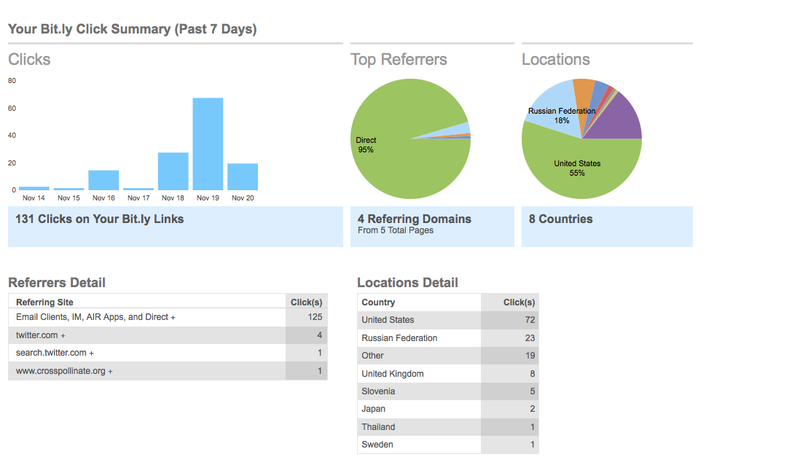 Bit.ly has recently added a new click summary map which shows visitor activity within a Bit.ly account. I was surprised to see my Bit.ly account receive 18% of its activity from the Russian Federation. This entry was posted on November 20, 2009 at 4:08 pm and is filed under Bit.ly Stats. You can follow any responses to this entry through the RSS 2.0 feed. You can leave a response, or trackback from your own site.